Alghoul & Associates Law Firm is a law firm in Winnipeg, Manitoba. With international branch offices in: UAE, Egypt, Lebanon, Jordan, Azerbaijan, Uganda, Kuwait, Pakistan, Turkey. The law firm specializes in Immigration, Family/Divorce, Criminal, Business, Employment, Aboriginal, Litigation. Practice Areas: Aboriginal, Alternative Dispute Resolution, Arbitration, Bankruptcy/Insolvency and Corporate Recovery, Charities and Not-For-Profits, Day School, Insurance, Labour and Employment, Litigation, Mergers and Acquisitions, Municipal, Pension, Commercial Real Estate, Construction, Corporate and Commercial, Criminal Law and Regulatory Offences, Environmental, Family, Financial Services, Immigration, Residential Real Estate, Securities, Taxation, Technology and Privacy and Intellectual Property, Transportation, Wills and Trusts and Estates. Assiniboia Law Office is a law firm in Winnipeg, Manitoba. Practice Areas: Family Law, Real Estate and Property Development, Wills/Trusts and Estates. Bennet Waugh Corne is a law firm in Winnipeg, Manitoba. 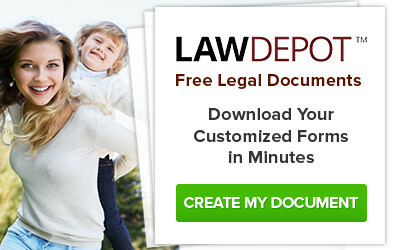 Practice Areas: Family Law, Civil Litigation, Business Law, Wills & Estates, Real Estate. Booth Dennehy LLP is a full-service law firm in Winnipeg, Manitoba. Serving the community for over 35 years. Practice Areas: Aboriginal Law, Access To Information, Administrative Law, Agriculture Law, Alternative Dispute Resolution, Banking, Charities & NotforProfit Organizations, Civil Litigation, Condominium Law, Constitutional Law, Construction Law, Consumer Protection Law, Corporate & Commercial Law, Corporate Counsel, Criminal Law, Education Law, Elder Law, Employment Law, Estates/Wills & Trusts, Family Law, Immigration, Insurance Law, Labour Law, Landlord & Tenant, Libel & Slander, Municipal Law, Personal Injury, Privacy Law, Product Liability, Professional Malpractice, Real Estate, Research, Torts Law, Transportation Law, Workers' Compensation. 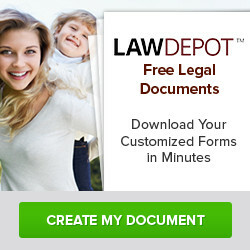 Boudreau Law is a law firm in Winnipeg, Manitoba. The firm provides a full range of legal services with a special focus on indigenous law and civil litigation. They represent a large number of First Nation communities, tribal organizations and stakeholders. Practice Areas: Class Action, Indigenous Law, Administrative Law, Construction Law, Corporate and Business, Criminal Law, Disability Insurance and Canada Pension Plan, Estates and Trusts, Family Law, Injury, Labour and Employment, Litigation, Real Estate. D'Arcy & Deacon LLP Barristers and Solicitors is a full-service law firm in Winnipeg, Manitoba with a branch office in Calgary, Alberta. Practice Areas: Aboriginal Law, Administrative and Regulatory Law, Agricultural Law, Arbitration and Mediation, Bankruptcy and Insolvency Law, Business Law, Charity Law, Child Protection Law, Civil Litigation, Class Actions, Construction Law, Corporate and Commercial Law, Entertainment and Media Law, Environmental Law, Estate Litigation, Family Law, Foreclosure, Fraud, Health Law, Insurance Law, Intellectual Property Law, Investor and Shareholder Rights, Labour and Employment Law, Lotteries and Gaming Law, Municipal Law, Oil and Gas / Energy Regulation, Pension Law, Pharmaceutical Law, Real Estate Law, Statutory Prosecutions, Tax Law, Technology Law, Transportation Law, Wills and Estate Administration, Wills and Estates Law. Duboff, Edwards, Haight & Schachter is a law firm in Winnipeg, Manitoba. Practice Areas: Aboriginal & Constitutional Law, Corporate & Commercial, Wills/Estate & Succession Planning, Labour & Employment Law, Administrative & Regulatory Law, Family Law, Commercial & Residential Real Estate Law, Civil Litigation, Alternative Dispute Resolution. 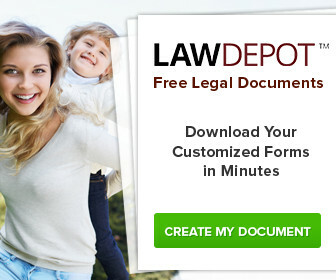 Evans Family Law Corporation is a law firm in Winnipeg, Manitoba. Practice Areas: Collaborative Family Law, Negotiated Agreements, Family Formation and Assisted Reproduction Agreements. home page of Fishman Beley - Family Law Associates - divorce, property, custody and other family law information with a Manitoba focus. Includes statutes, articles and interactive forum. Levene Tadman Golub Law Corporation is a law firm in Winnipeg, Manitoba. Practice Areas: Family Law, Litigation, Corporate/Commercial. McRoberts Law Office LLP is a law firm in Winnipeg, Manitoba. 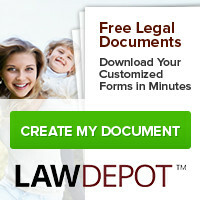 Practice Areas: Family Law, Wills & Estates, Real Estate, Criminal Law, Personal Injury, Corporate & Commercial, Immigration. Myers Weinberg LLP is a full-service law firm in Winnipeg, Manitoba. Practice Areas: Aboriginal Law, Child Protection, Civil Litigation, Corporate and Commercial Law, Criminal Law, Family Law, Immigration and Citizenship Law, Labour and Employment Law, Real Estate - Residential and Commercial, Wills and Estates. Languages: English, French, Portugese, Spanish. Smordin, Pauls & Associates is a law firm in Winnipeg, Manitoba. 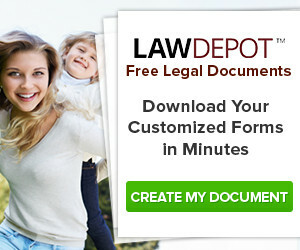 Practice Areas: Wills and Estates, Dismissal (Employment Law), Criminal Law, Family Law, Real Estate. Taylor McCaffrey LLP is a law firm in Winnipeg Manitoba. Core Practice Areas: Civil Litigation, Corporate & Commercial, Family Law, Labour & Employment, Taxation. Additional Practice Areas: Financial Services & Restructuring, First Nations, Insurance, Intellectual Property & Information Technology, Municipal Law, Pension Law, Personal Injury & Medical Malpractice, Property Development & Real Estate, Securities, Wills, Estates & Trusts. Wilder Wilder & Langtry is a law firm in Winnipeg, Manitoba. Practice Areas: Administrative Law, Corporate Law, Criminal Law, Debt Collection, Disability Law, Estate Law, Family Law, Insurance Law, Intellectual Property Rights, Labour and Employment Law, Personal Injury, Real Estate, Wills.